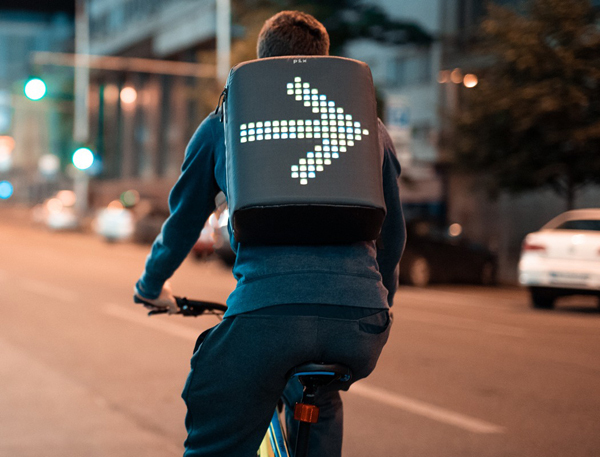 There is a better way to express your feelings, your lifestyle, hobbies, and all you can do outdoors. 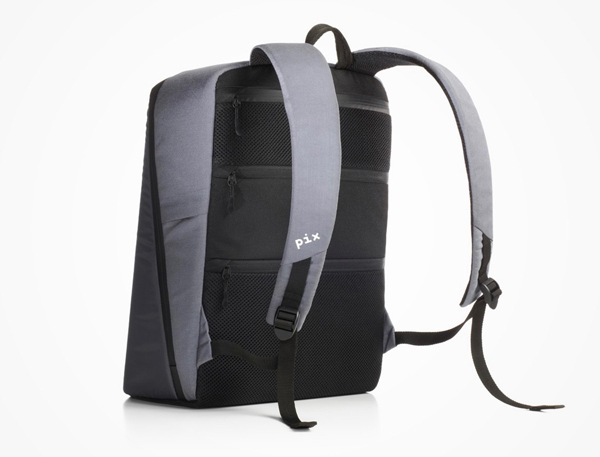 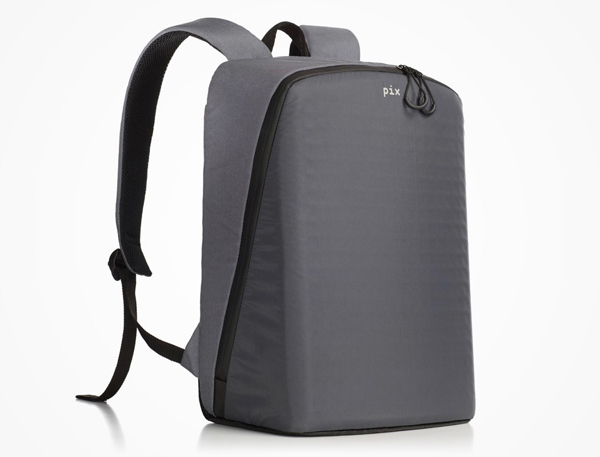 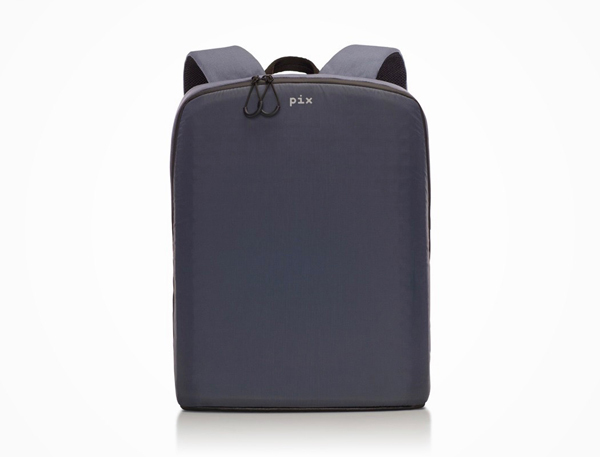 If your backpack is usually just a fashion accessory with a variety of styles, now you can show everything you feel through this smart backpack. 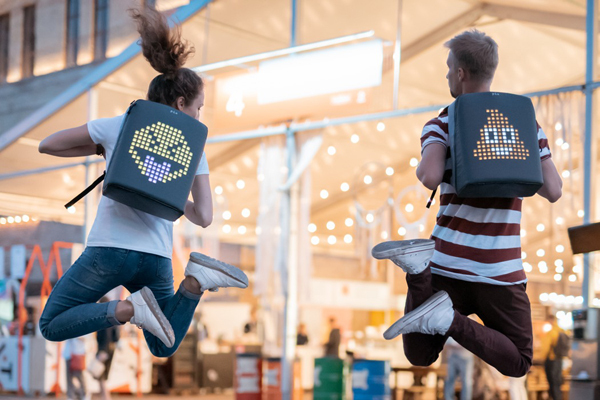 Hard to believe that the development of the fashion world growing more rapidly, but what you first think of when they hear a digitalized backpack? 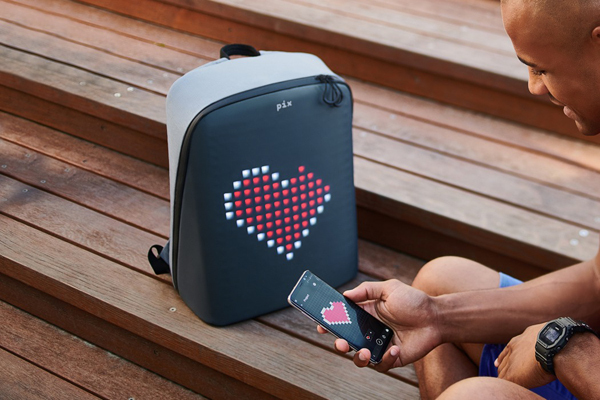 Pix is intended for those who want to stand out and be brave to be different, the secret is at the front of the backpack is a screen that can create up to 16.5 million color combinations so that only imagination will limit your own. 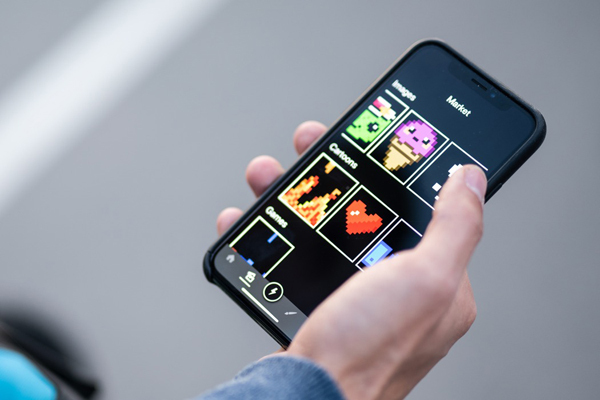 All activities, your feelings and all that is shown is controlled from the user’s phone, where they have the option to select an image, animation games directly from the library, or express their creativity by creating their own works. 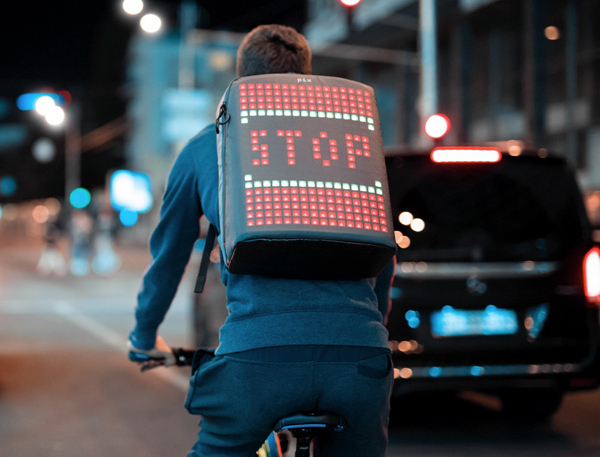 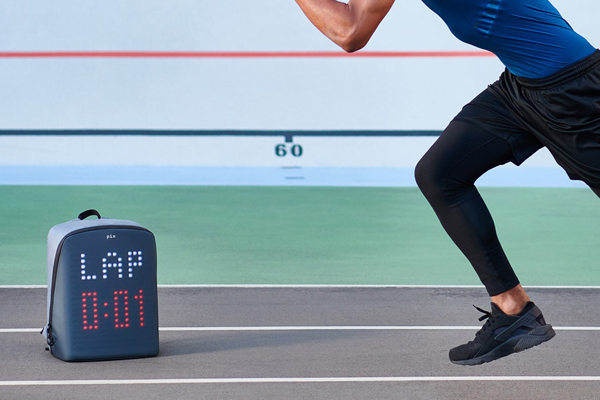 Features that are fun and unique, but it would be very useful to support any activities you whether you’re an athlete, student, or even a worker who love cycling at night, this backpack can be an indicator and automatically detects when the driver slows down and displaying a stop signal. 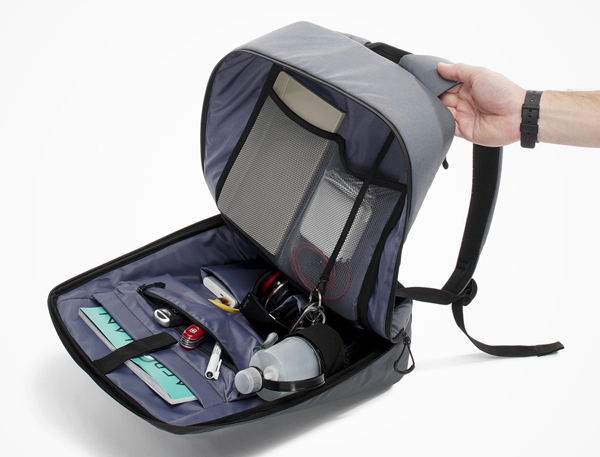 You can display the things you like in your backpack that can be adjusted from your mobile device such as favorite characters, sports team logos, music bands, or just having fun featuring funny images or pixel art that attracts attention. 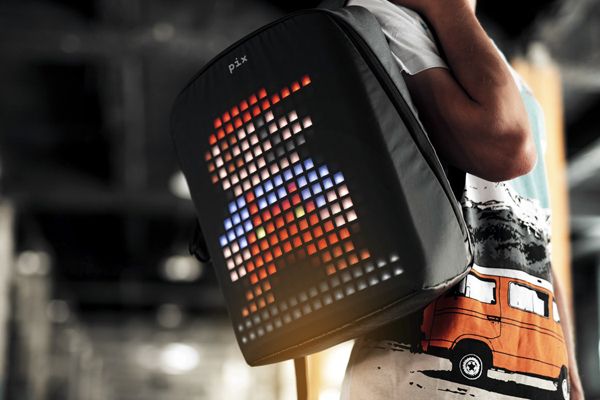 You can also run interactive widgets that are useful to play retro games like Tetris, Snake, Arkanoid, and many more in your Pix backpack.